The COLOTRUST Board of Trustees (the Board) is responsible for ensuring compliance with the Indenture and, in particular, the investment restrictions therein. The Board has the power to administer the Trust and the affairs of the Trust. Generally, there are 12 members of the Board; however, under certain circumstances, the number may increase to as many as 15. The current number of Trustees is 12. Subject to the rights of the Participants as provided in the Indenture, the Board may perform such acts as in its sole judgment and discretion are necessary and proper for the administration of the Trust and the investment of the Trust property. The Board oversees, reviews, administers, and supervises the activities of all consultants and professional advisors to the Trust. Scott is the Assistant Town Manager and Finance Director for the Town of Avon, where he has been employed since 1996. He is responsible for all financial support services and information technology functions for the Town. 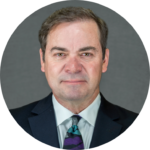 Prior to joining Avon, Scott served as the Chief Financial Officer for the City of Northglenn and as the Chief Accountant for the Irving Independent School District in Texas. Scott received a Bachelor of Arts Degree in Accounting from the University of Northern Iowa and is a Certified Public Accountant, a Certified Public Finance Officer, and a Certified Public Funds Investment Manager. Scott has served on a number of boards including the Colorado Government Finance Officers Association and the National Government Finance Officers Association Committee on Treasury Management and Investments. He has been a member of the COLOTORUST Board of Trustees since 1998 and currently serves as Chairman. Kristen currently serves as the Chief Operations Officer for the Sheridan School District No. 2 where she is responsible for preparing the annual budget and all monthly financial statements. In this role, she supervises and reviews the work of five bookkeepers, the food services program, and the facilities/transportation supervisor. She received an Associates of Art in Accounting from Red Rocks Community College and a Bachelor of Science in Accounting from Colorado State University. Kristen has previously held the positions of Director of Business Services for the Park School District R-3 and Senior Accountant for KPMG Peat Marwick. She is actively involved with the Colorado Association of School Business Officials, where she previously served as Board President, and the Colorado School District’s Self Insurance Pool Board. 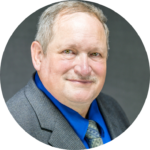 Jim is currently the County Treasurer and Public Trustee for Lincoln County, a position he has held since 1984. Prior, he spent one year with Lincoln County as Deputy Treasurer. He has been influential in the growth of Lincoln County including the introduction of wind towers and oil and gas production in the county. Jim received a Bachelor of Science in Animal Science with a minor in Agricultural Economics from attended Colorado State University. Jim has been an active member of the Treasurers’ Association including three terms as President and the Public Trustees’ Association, where he served as President for one term. 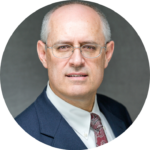 He joined the COLOTRUST Board of Trustees in 2017 and currently serves as Treasurer. 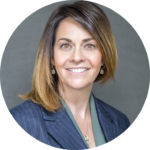 Suzi currently serves as Chief Financial Officer for Adams 12 Five Star Schools where she is responsible for overseeing district financial operations including risk management, control systems, reporting, and financial/operational strategies. She received a Bachelor of Arts in Communication with a minor in Business Administration from the University of Iowa. Suzi previously held the position of CFO for Brighton School District 27J and Executive Director of Budget and Academic Finance for Denver Public Schools. 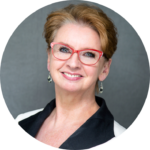 She is actively involved with the Government Finance Officers Association, the Colorado Association of School Executives, the Colorado Association of School Business Officials, and the Association of School Business Officials International. Al represents the Colorado District Attorneys’ Council and served as District Attorney for the 19th Judicial District for more than fifteen years. He serves on a number of boards including the Northern Colorado Medical Center, Inc Board of Directors, the Colorado Supreme Court Judicial Advisory Council, and the Colorado Bar Association Board of Governors. Al received a Bachelor of Arts from Fresno State University and a Juris Doctor from the University of Colorado at Boulder. Al served in the United States Air Force until 1965 and has won a variety of awards such as the University of Colorado Alumni Award for Distinguished Achievement in the Government/Public Sector. 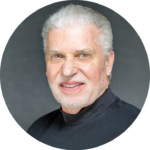 He has been a member of the COLOTRUST Board of Trustees for more than 25 years and previously served as the Board’s Chairman for over a decade. Mario is a Senior Investment Portfolio Analyst for the City and County of Denver where he is responsible for the management of five portfolios totaling $3 billion in assets under management and for the trading and rebalancing of portfolios for benchmark and model duration stability. 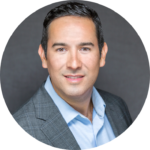 Prior to joining the City and County of Denver, Mario work as an Analyst for Scottrade Bank, Inc., Key Equipment Finance, and Wells Fargo. He received a Bachelor of Arts in Economics from the University of Colorado at Boulder. Mario joined the COLOTRUST Board of Trustees in 2018. 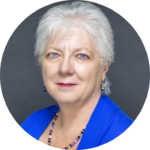 Brigitte currently serves as the Adams County Treasurer where she is responsible for collecting all county property taxes, distributing those taxes to the underlying taxing authorities, and investing the difference on behalf of the county. She teaches Accounting at Front Range Community College, is a Rotarian, sponsors the Adams County Free Income Tax program, and volunteers extensively in her community. Brigitte received a Bachelor of Science in Business and Information Systems from the University of Phoenix and a Master of Business Administration in Accounting and Finance from Regis University. Brigitte holds a seat on a number of boards including the Adams County Retirement Board, the Adams County Aging Network, the Adams County Housing Authority, the Adams County Food Bank, the Colorado County Treasurers Association (Metro Division), and the IHM Finance Council. She has been a member of the COLOTRUST Board of Trustees since 2014. Scott currently serves as the City Manager for the City of Rifle where he is responsible for the appointment and supervision of all city department heads, the direct daily operations of the city, the enforcement of municipal laws, and the preparation and observation of the municipal budget among other things. He has more than twenty-five years of experience as a city manager in both Colorado and Alaska as well as state and private sector experience. Prior to his role with the City of Rifle, Scott worked for the Colorado State Treasurer regarding local government investment pools and municipal bond banks. He also worked for the Colorado State Auditor where he audited various departments including the Division of Banking. Scott received a Bachelor of Arts from the University of Northern Colorado and a Master of Public Administration from the University of Colorado, Denver. He previously held both the FINRA Series 7 and Series 66. Michelle currently serves as Treasurer and Public Trustee for Park County, a position she has held since November 2000. She has held various positions with Park County, including Deputy Treasurer, since 1985. As treasurer, Michelle is responsible for managing a portfolio of $16 million and administers budgets in excess of $8 million. She was the first treasurer in the state of Colorado to offer tax payments over the Internet. Michelle is a past President for the Colorado County Treasurers’ Association. She is a member of the Government Finance Officers Association, the Colorado Government Finance Officers Association, and the National Association of County Treasurers and Finance Officers. 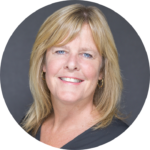 Michelle has been a member of the COLOTRUST Board of Trustees since 2007 and currently serves as Secretary. Brett currently serves as Chief Business Officer for School District 49 as he has since 2009​, where he leads one of the financially ​healthiest school districts in the state. He has previously held accounting and finance positions ​around the country ​with Bank One, J.P. Morgan Chase, The Dun & Bradstreet Corporation, and Bennett School District. He received a Bachelor of Science in Business Administration with a focus on Accounting and Finance from the University of Arizona. 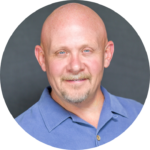 Brett has served on the COLOTRUST Board of Trustees since 2010, has served on a variety of committees including the Information Technology Committee, and currently serves as Vice Chairman. Jim has over fifteen years of experience working with Colorado special districts, both as a board member and as an administrator. He served as president of a Metropolitan District for seven years and has been a CPA in Colorado for over thirty years. Jim received a Bachelor of Business Administration in Accounting from the University of Iowa. Jim is a member of the Colorado Society of CPAs and the American Institute of CPAs. He has previously served as a member of the Board of Directors of the Gunnison Western Federal Credit Union and Treasurer of his local Boy Scouts organization. Jim previously served two terms on the COLOTRUST Board of Trustees, one in 1996 and one in 2008, before rejoining the Board in 2017. Terry currently serves as Finance Advisor for the St. Vrain Valley School District, the seventh largest school district in Colorado with student enrollment over 32,000. She previously served as Chief Financial Officer for St. Vrain and as Assistant Superintendent of Thompson School District. 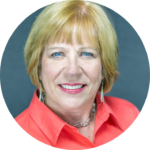 She has been a school business administrator in Colorado for over thirty years. Terry received a Business Administration degree from Regis University and her CPPO from the National Institute of Governmental Purchasing. 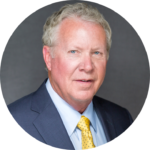 Terry previously served as President of the Colorado Association of School Business Officials Board of Directors and has been a member of the COLOTRUST Board of Trustees since 2011.